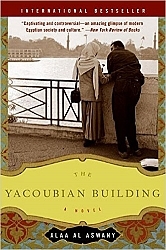 The Yacoubian Building holds all that Egypt was and has become over the 75 years since its namesake was built on one of downtown Cairo's main boulevards. From the pious son of the building's doorkeeper and the raucous, impoverished squatters on its roof, via the tattered aristocrat and the gay intellectual in its apartments, to the ruthless businessman whose stores occupy its ground floor, each sharply etched character embodies a facet of modern Egypt - where political corruption, ill-gotten wealth, and religious hypocrisy are natural allies, where the arrogance and defensiveness of the powerful find expression in the exploitation of the weak, where youthful idealism can turn quickly to extremism, and where an older, less violent vision of society may yet prevail. Ala Al Aswany's novel caused an unprecedented stir when it was first published in 2002 and has remained the world's best selling novel in the Arabic language since.